The new iPhone XS, iPhone XS Max or iPhone XR will come out next week and most people are waiting for the new device. Are you also the one wish to get the new iPhone? If you are, then you must be interested in one thing - how to transfer data to new iPhone from old device. In fact, this could be an easy task as long as you learn this page since several ways will be introduced here to help you easily complete the switch. Part 2. 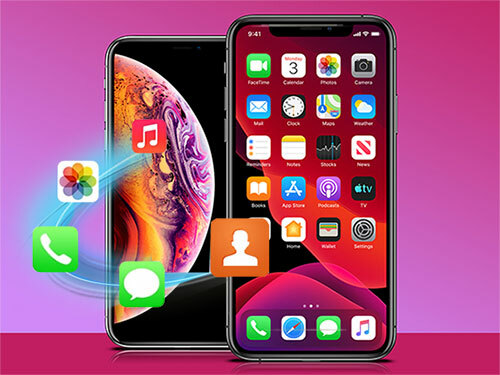 How to Transfer from Old iPhone to New iPhone XS, iPhone XS Max or iPhone XR? Part 3. Can I Copy Data to New iPhone from an Old Android? Part 5. How to Deal with the Old Phone after the Transfer? Due to some unknown or unpredictable reasons, there are always some risks in the phone transfer. Therefore, to avoid unexpected data loss, you'd better backup your phone data before you start the transfer. 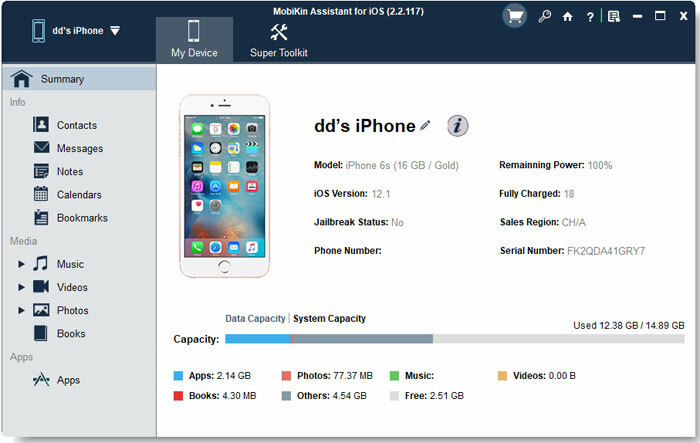 If your old mobile phone is an iPhone, you can use MobiKin Assistant for iOS to simply backup your phone data. It is a free software that allows you to backup up to 10 types of files from iDevice to computer. In addition, it also provides you the "iTunes backup & restore" function. This function enables you to backup the data on iDevice repeatedly and the previous backups won't be covered. For more details, you can refer to: Different Ways to Backup iPhone. For Android users, you can turn to a third-party software called MobiKin Assistant for Android. This program equips the "One-click Backup & Restore" function, which enables users to backup all the files on Android phone with one simple click. Its supported file types include contacts, text messages, call logs, photos, videos, music, applications and so on. 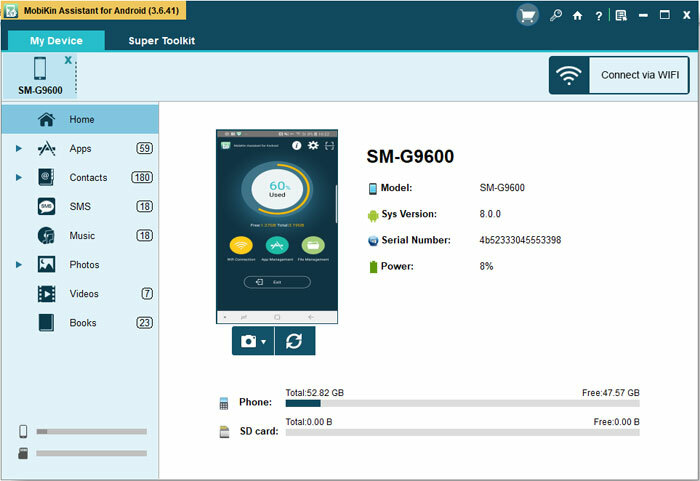 With the help of this tool, you can complete the Android phone backup effortlessly and effectively. 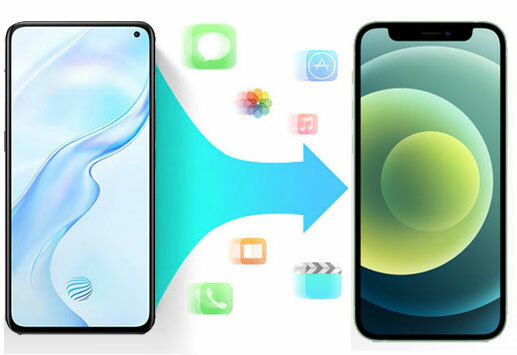 It is doubtless that performing the phone to phone transfer with a third-party software would be much easier and more convenient. But you need to select a reliable and workable program or your phone data would be damaged. How to Transfer from Old iPhone to New iPhone XS, iPhone XS Max or iPhone XR? Speaking of phone data transfer, the most convenient way is to ask a professional mobile transfer tool for help. Here MobiKin Transfer for Mobile is what you need. Why Choose MobiKin Transfer for Mobile? - Sync iPhone files to Android phone, including contacts, SMS, music, videos, photos and books. In addition, the whole transfer can be completed with simple clicks and it would only cost you several minutes. So to simplify the transferring process, you are strongly recommended to use this tool. Just click the icon below to download and install the program on your computer to have a try! After the installation, you can start the iPhone to iPhone transfer now. Before starting the transfer, please ensure that you have installed the latest iTunes on your computer. Otherwise, the connection will be failed. Step 2. Connect both your old and new iPhones to the computer with USB cables. Then the following window may pop up to ask you trust the computer. Just unlock your iPhone and tap "Trust". After that, your devices will be connected to PC successfully. If it fails, please click here to get the solutions. Step 3. 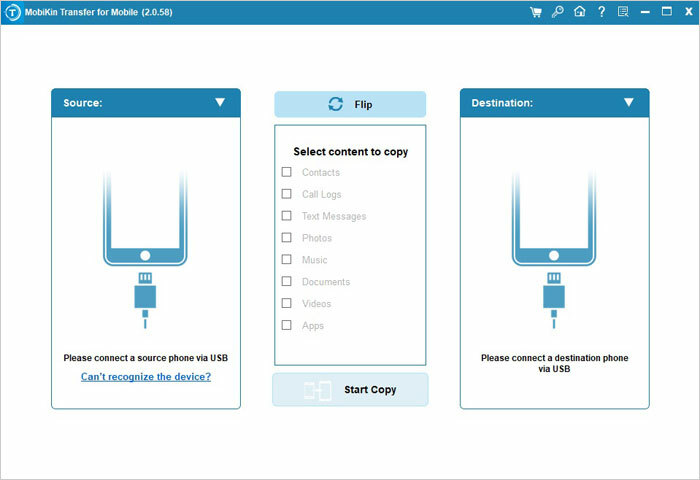 When the connection succeeds, two mobile phones and the transferrable files will be displayed on the program. Here please check whether your iPhone XS/XS Max/XR is the destination device. If not, you can tap on "Flip" to change its position. Step 4. At last, you can tick off the folders you want to transfer in the middle and hit the "Start Copy" button to begin the transmission. Step 5. Now what you need to do is to wait till the process ends. When the program prompts you that the transfer is completed, you should tap on "OK" to finish the whole transfer. Attention: After the restore, the old data on the target device will be covered. So if you have stored something important on your iPhone XS, iPhone XS Max or iPhone XR, please make a backup at first. Step 1. Open the latest iTunes on your computer and then build a connection between your old phone and the desktop. Step 2. Choose the connected phone from the devices section and then go to "Summary". Step 3. Navigate to the "Backups" section in the right panel and select "This computer" > "Back Up Now". Then the files on your old iPhone will be saved to iTunes. Step 4. After that, you need to remove the old iPhone from computer and connect the new device. Also, you should choose your new iPhone in the devices section and go to "Summary". Step 5. Click on "Restore Backup..." in the "Backups" section. Then a window will pop up. Just select the recent backup that you want to restore from the window and then tap on "Restore". Step 6. Now you need to grant the computer permission on your device to automatically restore the backup. Step 1. Unlock your old iPhone and go to "Settings" > "iCloud". Step 2. Next, turn on the iCloud sync for your contacts, calendars, photos, notes, mails and other files you want. Step 3. After that, you can turn to your new iPhone and login to the same iCloud account to simply sync the data. Step 1. Go to "Settings" > "iCloud" > "Backup" on your source iPhone. Step 2. Turn the "iCloud backup" option on and choose "Back Up Now" to create a backup. Step 3. Then unlock your new iPhone and start to set up the device. Step 4. On the "Set Up iPhone" page, you can elect to restore it from iCloud backup. Step 5. Then you need to sign in your iCloud account and agree to the terms. After that, just select the backup file you want to restore and wait till the restoring process ends. Can I Copy Data to New iPhone from an Old Android? Similarly, MobiKin Transfer for Mobile can be your first option to transfer Android data to iPhone as well. 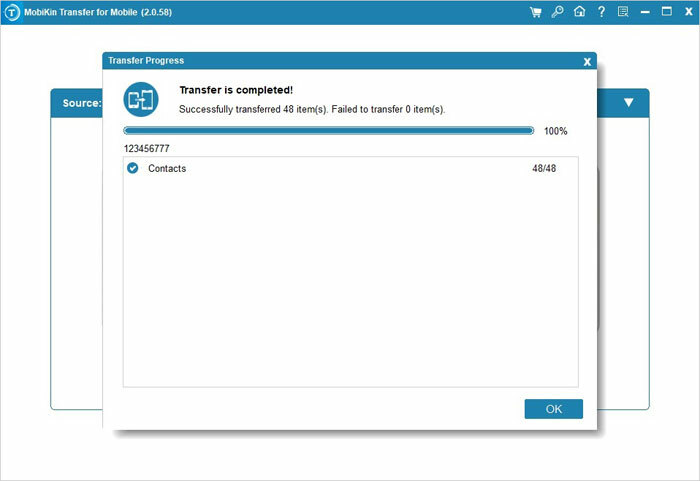 Here, the steps to transfer Android data to iPhone with this tool are almost the same with the iPhone to iPhone transfer. But the operation would be a little bit different while connecting the Android phone. Let's take a look together! Step 1. Install the software on your computer and then launch it. Step 2. Use a USB cable to connect your Android phone to computer. 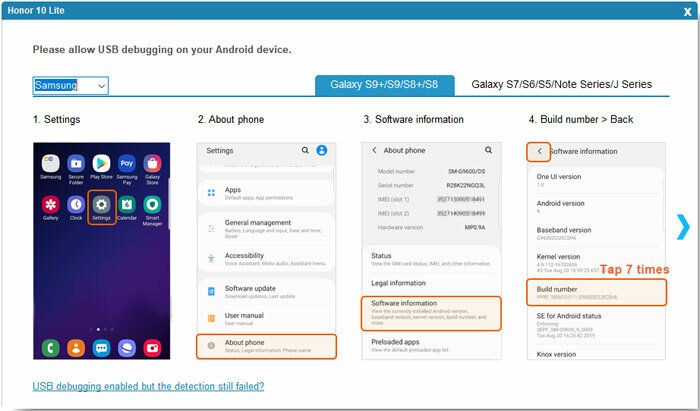 Here you might need to turn on the USB debugging and allow the connection on your device. Or you can select to connect via Wi-Fi. Step 3. Next, link your new iPhone to computer and make it be recognized. Step 4. Mark the wanted files and tap on "Start Copy" to begin the transmission. Move to iOS is another tool you can make use of. It is an official application that enables users to transfer files from Android phone to iPhone. The supported file types contain contacts, messages, photos, videos, bookmarks, mail accounts, calendars and free applications. The followings are the details about how to sync Android files to iPhone with Move to iOS. Step 1. Power on your new iPhone and then go with the prompts to set it up. Step 2. When you reach the "Apps & Data" page, please click on "Move Data from Android" option. Step 3. Then go to your Android phone and download and install the Move to iOS App from Google Play Store. Step 4. Next, open the installed application and tap on "Continue" on both mobile phones. Step 5. Then tap "Agree" followed by "Next" on the Android device. After that, you will be asked to enter a 12-digit code that is displayed on the iPhone. Step 6. Just enter the code to build a connection between two devices. Finally, just choose the files you want to transfer. Some users might need to sync the files from PC to iPhone because they have backed up the data on old Android/iPhone to PC already. In this case, you need MobiKin Assistant for iOS to be your assistant. This is a free software that enables you to import different files like contacts, bookmarks and calendars from computer to iOS device without any hassle. Except for that, it also has other functions - export, add, delete, iTunes backup & restore, etc.. You can download and install the software to try it for free. Step 1. 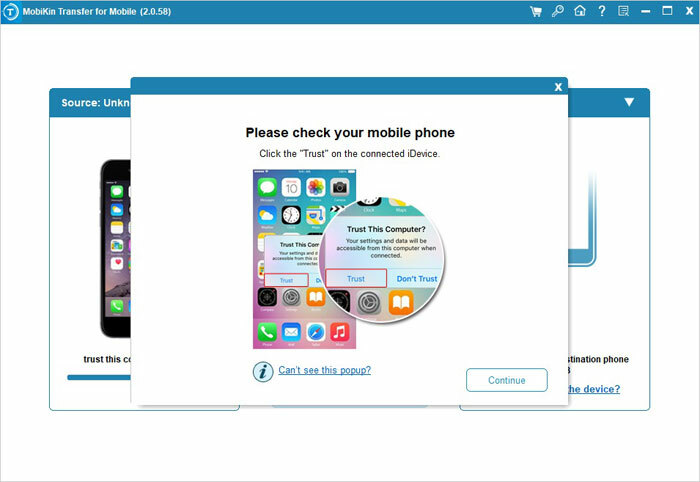 Connect your iPhone to computer via USB cable and then follow the instructions to let the program recognize the device. Step 2. Choose a folder on the main interface, such as "Contacts", "Calendars" and "Bookmarks". Step 3. Simply tap on the "Import" button on the top menu to select and move the wanted files from computer. How to Deal with the Old Phone after the Transfer? After completing the phone data transfer, you should not forget one thing - wipe out the data on your old device. This is very important especially for those who plan to give away the old phone. If you do not erase the data on your old device, your privacy information would be at the high risk of disclosing. For iPhone users, you are suggested to use the MobiKin Eraser for iOS. This tool can help you to thoroughly and permanently remove all the files on your iDevice and the erased data are unrecoverable. As for Android users, you can turn to Eraser for Android which can help you to remove all the Android data with simple clicks. Want to know more details about dealing with the old device? Here is a tutorial for your reference: What to Do with Old Cell Phones. See, it is not difficult to transfer data from old mobile phone to new iPhone, right? Now just choose a suitable method from above and carefully go with the steps to complete the phone transfer. How to Transfer WhatsApp Messages from Android to iPhone? How to Transfer Calendar from iCloud to Android? iCloud Photos to Android: How to Transfer Photos from iCloud to Android? How to Transfer Data from One Phone to Another? 3 Ways for You! How to Transfer Contacts from HTC to Samsung Galaxy without Hassle? 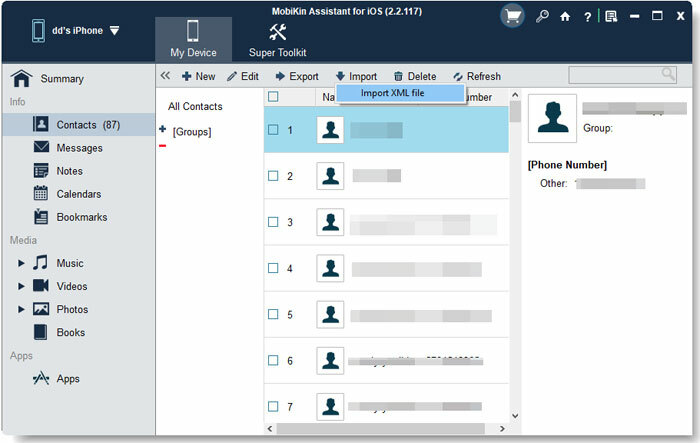 How to Sync Contacts from iPhone to iPad? 4 Ways for You!